Why use the digital and plastic sounding instruments that came with your music software? Or why buy an expensive instrument or sample collection with hundreds of patches when only a few of them are good and useable in your music? We make really good, warm, musical and useable instruments that fits perfectly in your mix for a few bucks. You just buy the instruments/patches you really want, not hundreds you don’t want. We spend a lot of time to make our instruments. Usually a day or two for one instrument. But it is absolutely worth it. It results in the best and most musical instrument on the planet. We don’t make so many of them. But the ones we make are the best there is. Click here to se our studio equipments. 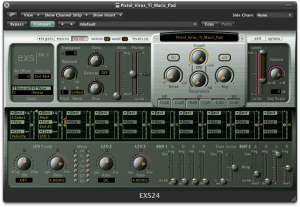 If you don’t have an EXS24 compatible sampler you can probably import the EXS24 format in your sampler. You can also use the individual WAV samples directly in your DAW or your sampler. We are working on instrument versions for: Kontakt, Reason, HALion and others. Click here to listen to our great instruments. We are a small music firm that produces, writes and publishes music in different genres and projects around the world. We also make high quality instruments/sample libraries for producers and musicians. We are based in the city of Stockholm (Sweden). Pistol Music are a part of Pistol Media Group. 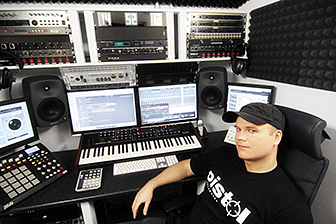 The owner and managing director is Patrik Pistol who writes and produces music for differnt artists, TV-shows and movies. We are aiming to be one of the most wanted producers and publishers of modern music in the world and make the best sounding and valuable instruments/sound libraries. More information is found on Pistol Media Groups homepage.